At NAB, we believe success comes from our people. We’re committed to supporting your talent and skills through your career, as you help us build a culture that affects change for our customers – and for the community too. If you’re ready to take your next step, the opportunity starts right here. Corporate Responsibility is part of the broader NAB Corporate Affairs team. Corporate Responsibility means doing the right thing for our employees, customers, and community. It is a strategic business approach designed to drive social impact, protect and enhance our reputation and ultimately drive long term shareholder value. 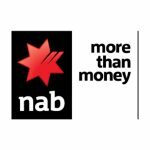 Reporting to the GM Corporate Responsibility, this role will lead a team to develop and manage NAB’s Indigenous Affairs and Strategic Inclusion initiatives, including a focus on accessibility, domestic and family violence, and vulnerability. This role is critical in the execution of the enterprise Social Impact strategy resulting in reputational benefits for NAB and greater inclusion and economic participation of Aboriginal and Torres Strait Islander people and people experiencing vulnerability. Engagement across the organisation on issues connected to accessibility and domestic and family violence to ensure policies, processes, products and services are inclusive, driving a coordinated approach across our people, our customers and the broader community. You will further be expected to engage and form outstanding, influential and productive relationships with a vast range of internal and external stakeholders. The role is a highly specialised one, and requires someone with outstanding verbal and communication skills. Your superb stakeholder management skills are second to none with the ability to influence across all levels of the business. It truly is an exciting time to be coming on board and contributing to our organisation. Are you ready to make that leap and jump on board? If so, apply now! To be eligible to apply, you must have Australian or New Zealand citizenship or permanent residency status. Please apply via the link. Please note, candidate screening and interviews may take place prior to the advertised closing date. Aboriginal and Torres Strait Islander Peoples are strongly encouraged to apply.